Russia’s lower house of parliament ratified on Friday an agreement with Syria that authorizes the deployment of a Russian air group at the Hmeimim airbase for an indefinite period of time. 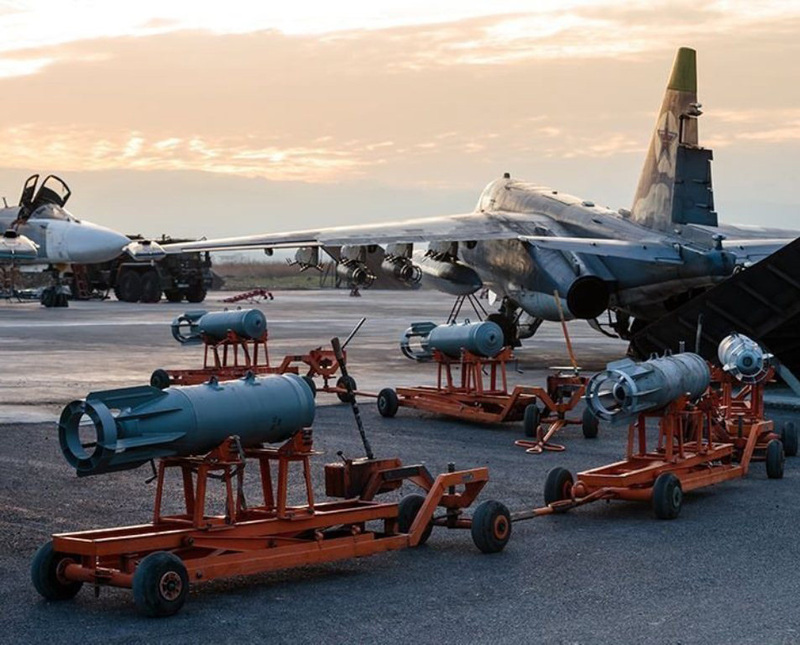 The Hmeymim airbase agreement was signed in Damascus on August 26, 2015, and was submitted to the State Duma for ratification in the beginning of August, 2016. The document was approved by 446 State Duma lawmakers. The air force group is located on the Hmeymim airfield in Latakia. Moscow will use the base “free-of-charge” and will carry out supplies of necessary equipment and ammunition to the base without customs or any other duties, the memorandum says. “The operation of the air group is conducted in line with its commander’s decisions based on the plan approved by both sides,” the document says. Russia began its air campaign against Daesh in Syria on September 30, 2015, at the request of Syrian President Bashar Assad. Meanwhile, Egyptian officials have denied a report in the Russian media which claimed that Moscow and Cairo are negotiating a deal on a Russian airbase in western Egypt. Egypt’s Al-Ahram daily reported the President’s Office as stating that it would not allow foreign military bases on Egyptian coasts. On Monday, Russian newspaper Izvestia cited its diplomatic and military sources as saying that Cairo and Moscow were in talks on a deal which would allow Russia to deploy a military facility in the North African country. “The negotiations over possible participation of Russia in rebuilding of Egyptian military sites on the Mediterranean coast near Sidi Barrani are quite successful. If both parties agree to the terms, as soon as 2019 the base may become operational. Cairo is ready to lease it to Moscow because it would use it to pursue high-priority geopolitical goals, which align with Egypt’s interests,” a diplomatic source told the newspaper. Sidi Barrani is a small coastal town about 100km from the Libyan border. The Soviet Union had a small naval facility near the town until 1972, which was used to monitor US naval forces deployed to the region, the report said. The diplomatic source said that the planned new facility would be operated by the Russian Air Force rather than the Navy. At least initially, only a small contingent would be deployed, the source said. A military source told the newspaper that the new asset would be convenient, considering the growing instability in the region. Commenting on the report, military expert Nabil Fuad told RIA Novosti that Egypt’s military doctrine does not allow it to host foreign-controlled military bases. “That is a principal issue for Egypt not to allow foreign military bases on its territory,” he said, adding that during the Cold War Soviet military specialists would work at Egyptian military facilities, rather than have their own. Cairo’s relations with Russia recently saw resurgence, particularly in defense sphere. Russia was the first non-Arab country that President al-Sisi visited after his election in 2014. Later this month Russian Airborne Troops are to stage joint counterinsurgency military exercise with their Egyptian counterparts. The drill would be the first time in decades that Russian troops and military hardware would be airlifted to northern Africa on such a scale.